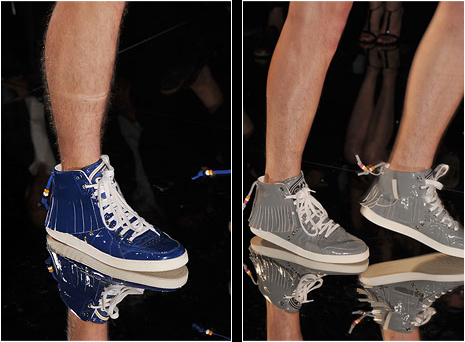 Call me crazy, but I am in love with the fringed patent leather hi-tops Frida Giannini showed at Gucci this week in Milan. 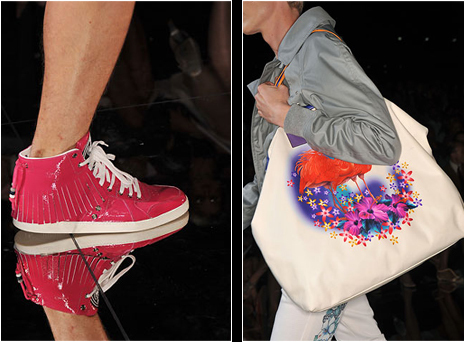 I also really like the flamingo print totes. In my humble opinion, this was one of the best (if not THE best) Gucci men's collections since Tom Ford left. maybe the best gucci collection but it's rubbish compared to the other collections that have been shown in milan thus far ... frieda doesn't appear to have a clear idea for the label - it's all over the place season after season.